Two new books focusing on Britain’s Cathedrals and on Monastic life in the 21st century have just been launched in our Cathedral Archives. 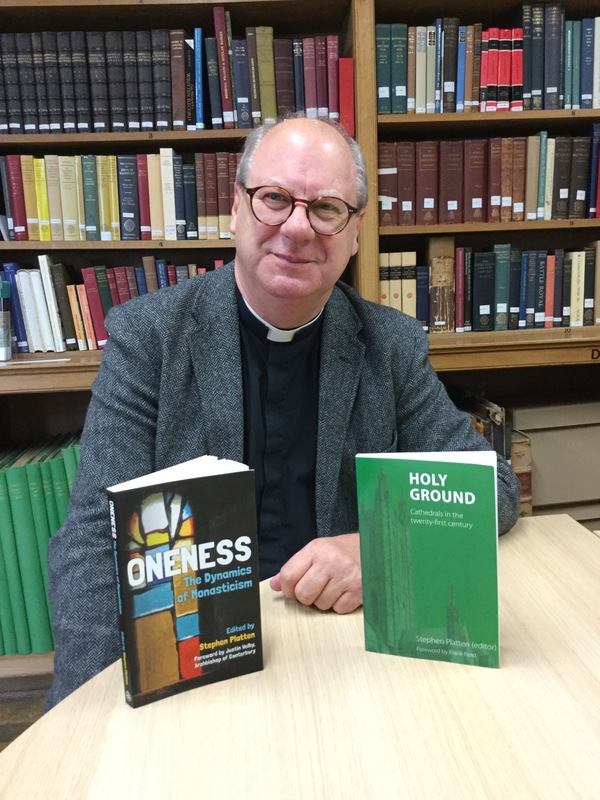 Canon Christopher Irvine, our Canon Librarian, celebrated the launch of Holy Ground – Cathedrals of the 21st Century and Oneness – The Dynamics of Monasticism, in the Archive’s reading room. Both publications consist of a collection of essays by prominent figures from the church and feature chapters by Canon Irvine. In Holy Ground, a response to the success stories of Britain’s cathedrals, Canon Irvine writes about the place of art in today’s cathedrals with a specific focus on contemporary art. He asks ‘what is the place of art in our Cathedrals?’ and discusses how worship encompasses all of the art forms. In Oneness, a book that considers the resurgence of interest in monasticism and the need to deepen prayer and recover life in community in the church today, Canon Irvine looks at Monastic Architecture and reflects on how monasteries are shaped by the life that is lived within them. In particular Canon Irvine looks at Shepherd’s Law in Northumerland, a newly constructed hermitage chapel built from recycled materials taken from the surrounding landscape. Both books are now available. You can purchase a copy through the Cathedral Archives and Library or through the Cathedral shop.